Più is about think and build augmented instruments with sensors and realtime audio processing. We also develope Max For Live devices. This device allow to trigger an automation for a knob or a fader. You can trigger automation in 4 modes: 1) Alternate button: every click alternate high and low state 2) Toggle: 1 for “go to high”, 0 for “back to low” 3) Specific button: left button for “go to high”, right button for “back to low” 4) Randomize button: Randomize parameter within range Random speed option allow to randomize also speed when you trigger the randomize button. You can also choose random speed range. You can also have a random change of pitch on each step, play in solo mode or quantize the scrubbing. Friz is a max for live device that freeze a buffer of sound and play it changing speed to make rhythmical patterns. It can also simply freeze your sound. Can be triggered manually with a single knob or automatically with the peaks of your sound. Dedelay is a max for live device that allows you to choose a note to delay with detune on every repetition. You can go up or down and choose the rate of the repetitions: to do that you can operate manually or analyze your incoming sound with an envelope follower. Go+Back is a max for live device that allows to record and playback musical phrases straight and reversed in real-time. With just one knob you can control all the process: choose the length of the phrase and the start/stop of the playback. 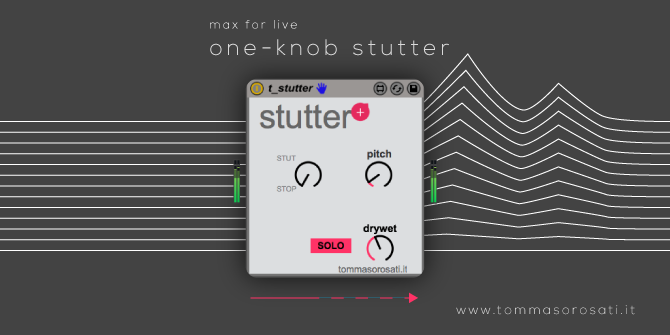 It’s a simple stutter that can be activated by a knob in your MIDI controller. 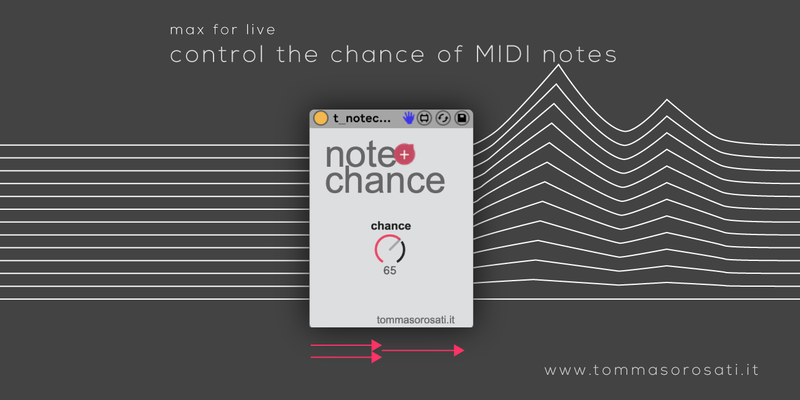 Choose the probability of an incoming MIDI note to pass, with a single knob. 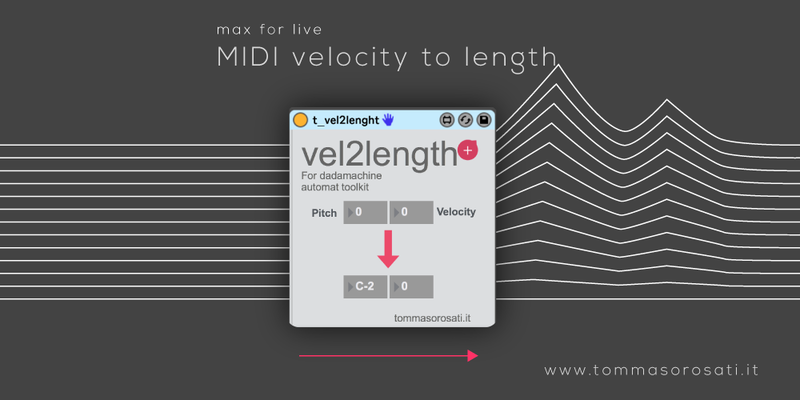 This MIDI device translate note velocity into note length. It’s meant for Dadamachines automat toolkit (dadamachines) but you can use it for all project with robotic or solenoid actuators. UPDATE: added device that alternate a note with its next one.